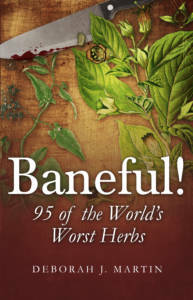 Herbal medicine has once again come to the forefront of the public’s mind. Without research, many think that herbs are safe. Many are, yet many can be just as deadly as a dose of arsenic. Most everyone knows Socrates died from ingesting Hemlock. Have you heard about the Celtic chieftain who committed suicide by Yew? How about the duels between rivals who ate just half of a poison bean? 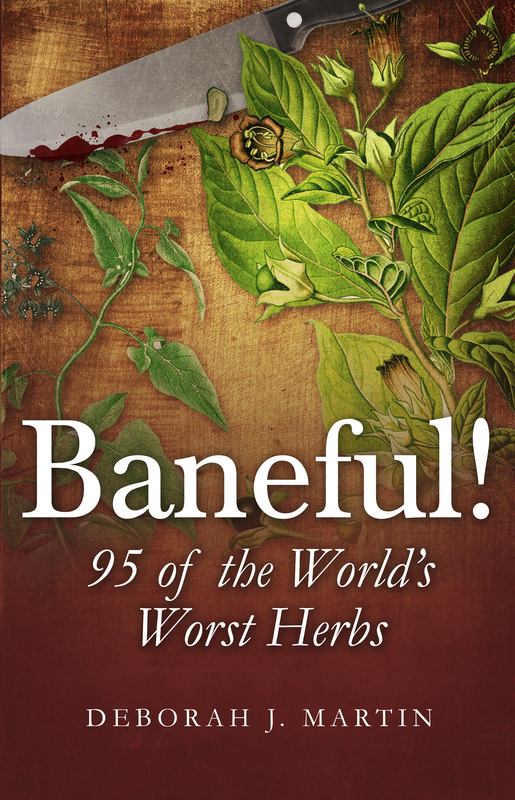 From Abrus precatorius to Viscum album, Master Herbalist Deborah Martin takes us on a journey of discovery … ninety-five herbs that, while they had or have their medicinal and magical uses, can be deadly. Paperback & Kindle at: Amazon; ebook at Nook, and Kobobooks. You can also purchase an autographed copy directly from me by clicking on the Add-To-Cart button below.